Friday's drawing produced one winning ticket for the seventh largest lottery jackpot of all time: A $540 million Mega Millions. Lottery officials announced a single winning ticket for the grand prize had been sold in Indiana. The numbers from Friday's drawing were 8, 19, 20, 55, and 73. The mega ball was 5. The lucky ticket holder, who has not yet come forward to claim the prize, has won the third largest Mega Millions pot in history. It's the seventh biggest prize in U.S. lottery history, surpassing an August 2013 Powerball prize of $448.4 million. The winning ticket was sold at a Speedway gas and convenience store located along one of Indiana's busiest state highways. No one has come forward yet to claim the prize. Lottery officials and experts advise winners to get together a team of financial professionals before claiming the prize. They also say winners should try to stay anonymous. While only a few states keep the names of lottery winners private, an individual can create a trust to claim the prize for them and stay under the radar. In Indiana, the winner doesn't have to come forward immediately -- they have 180 days from the date of the drawing. 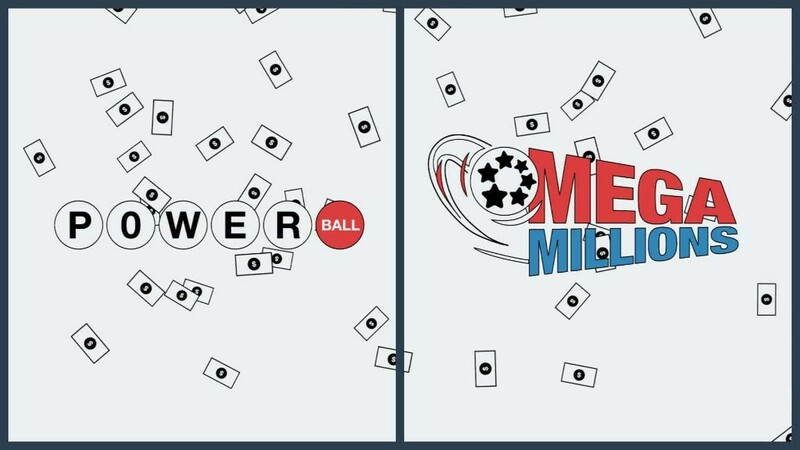 As with all top Powerball and Mega Millions prizes, the full $540 million sticker price of Friday's jackpot will only be paid out if the winner opts to receive the 30 annual installments. The cash value of the top prize is $380 million. There may be more than one person behind the ticket. If that's the case, each individual in the group can decide whether to get their winnings as a lump sum or annuity. The location that sold the winning ticket is also entitled to some prize money. The amount varies by state but Indiana offers sellers a 6% commission on "draw" lottery games like Mega Millions. This is the third top-10 jackpot so far in 2016. In January, there were three winning tickets for a $1.58 billion Powerball jackpot -- by far the largest in history -- and a player in New Jersey won a $429.6 million Powerball jackpot in May.